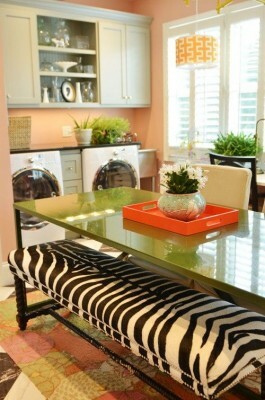 Imagine being able to do two loads of laundry at the same time, without needing to do a laundry room remodel! 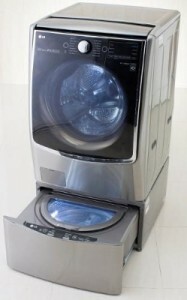 LG has developed a mini washer in the pedestal of their front load clothes washers that can be used simultaneously. This smart innovation of an additional mini washer can be used for delicate items, or for separating a color clothes load from whites, or for quick washes of work out clothes to name a few uses. It is a laundry room space saver and a time saver too. 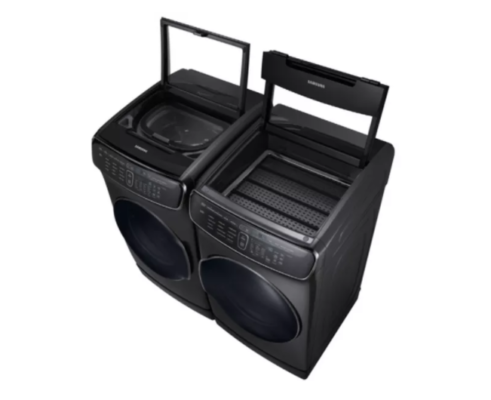 The main washer drum is higher, making it more accessible (less bending over to put items in and take out) and can wash a king size comforter and bedding in one load. The weight sensing technology as well as the soap and rinse sprayers cut down on the amount of water needed to run a cycle. Spin movement has been improved for greater unit stability and less noise. LG has an ecohybrid dryer has won the CES 2015 Innovation Award, and EPA’s Energy Star Emerging Technology award. The dryer has heat pump technology that saves up to 53% on energy costs compared to typical dryers. Their dryers also come with TurboSteam technology to minimize wrinkles, reduce shrinkage, and sanitize clothes. 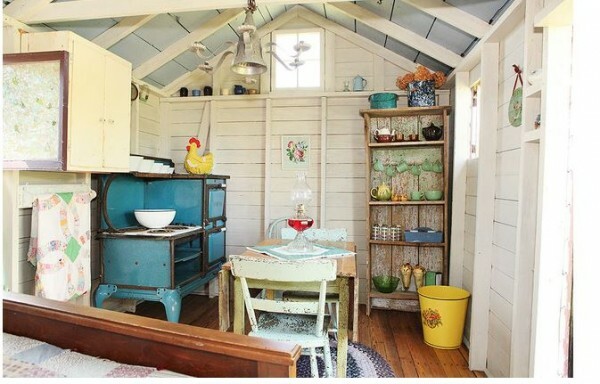 Both units have built in smart technology that the owner can run and monitor the units with a smart phone. It will even send a message of a detected issue or need to troubleshoot.